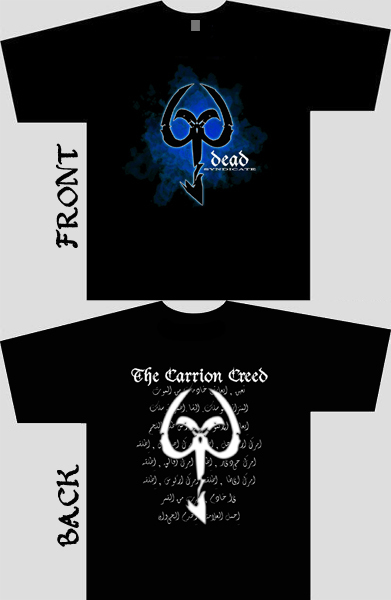 616 Logo on the front (same as Arcane's bass drum heads) and 616 Logo with The Carrion Creed on the back. High quality 100% Cotton T shirt. Click icon for larger photos of shirts.